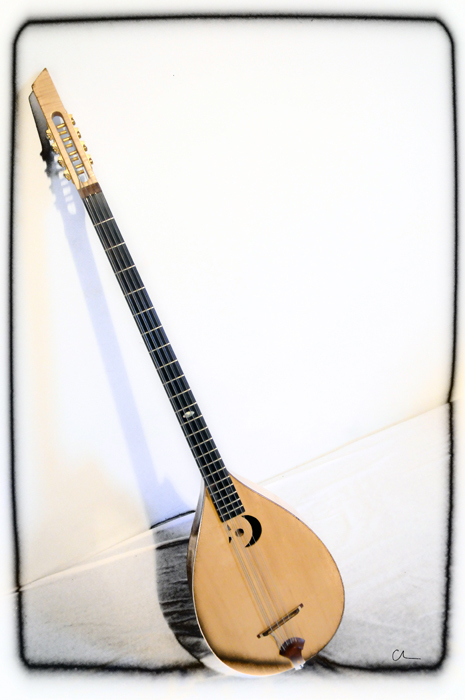 The SazBass is a 8 steel-stringed electroacoustic instrument inspired by the traditional Turkish “saz” (also known as “bağlama”) and Greek “bouzouki”, created and designed upon JC’s request by French luthier Herve Prudent. It features 4 courses of doubled steel strings that are an octave apart. The tuning as played by JC is generally (from low to high): G-C-F-Bb. 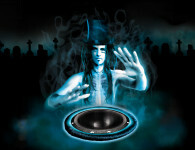 Its unique natural clear tone with shiny highs and deep lows has made it a key feature in the sound of several bands JC has brought it in, extending its spectrum while leaving a lot of space for other instruments. The combination of this set of high and low string along with JC’s fingerpicking style allows him to play bass lines, chords and counterpoint melodies all together with very distinctive tones. A piezo pickup located under the bridge together with its inboard preamp provides the amplification through a 1/4 inch jack output. JC would plug into a bass amp. JC’s own SazBass was built in 2002. 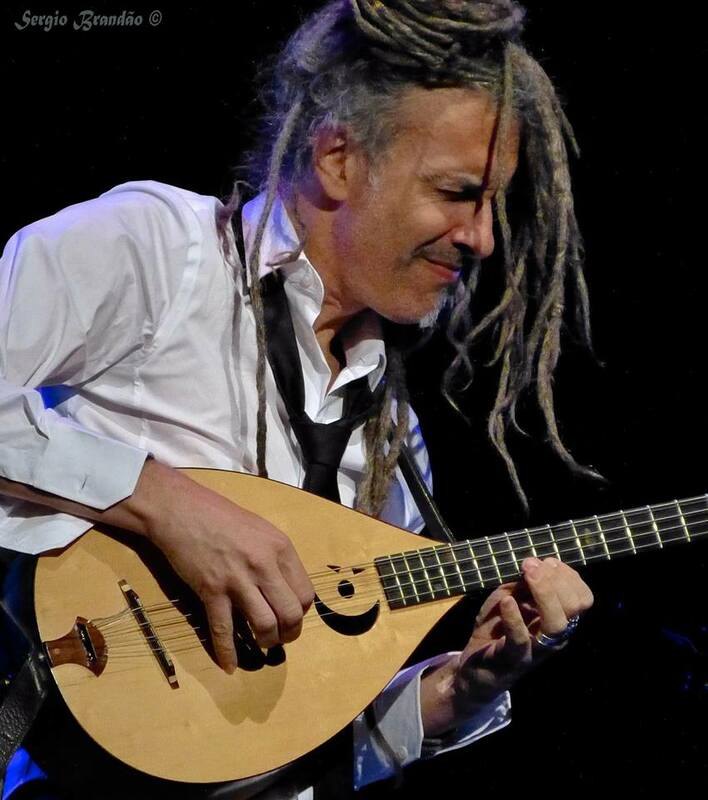 JC had owned a traditionnal bağlama since 1990 that he had bought on a trip to Istanbul; the idea of the SazBass came up in 2000 during an artist residency at “Le Phoenix” in Valencienne, France that led to the creation of the flamenco-fusion project Jaleo by guitarist Louis Winsberg. 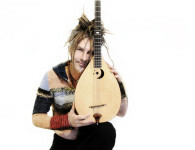 The band was there lent a prototype version of a 6 stringed electroacoustic saz from Herve Prudent. 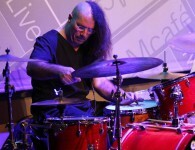 First intended to be a strictly melodic instrument played with a pick, it turned out, once in JC’s hands to deliver inspiring percussive and bass sounds (even though it was only reaching down to a low C, just a major third below the guitar). The first song to feature this 6 stringed Saz in Jaleo’s live set was “El niño”, a tango flamenco in C, which JC would eventually introduce with a long solo, very often starting with chords and slowly going into a rhythmic improvisation of pitched percussion sounds on muted strings that reminded of Indian tablas. 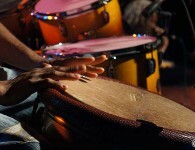 Towards the end of the set, JC would use the Saz again in the song called “Fenix” a rumba flamenca in F with a turnaround ending section in C and E flat. 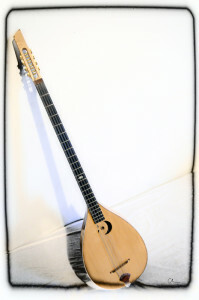 Consequently, the 6 stringed Saz is featured in the first album of the Jaleo project in these two songs and also in a beautiful ballad called “En una palabra”. JC mostly plays keyboards in the album. It was very clear by then that the incredible tone and possibilities of this instrument would inspire new music. For the whole tour of the first Jaleo project, JC would plug into a Fender The Twin guitar amp that offered the required clear highs and quite good bottom end. 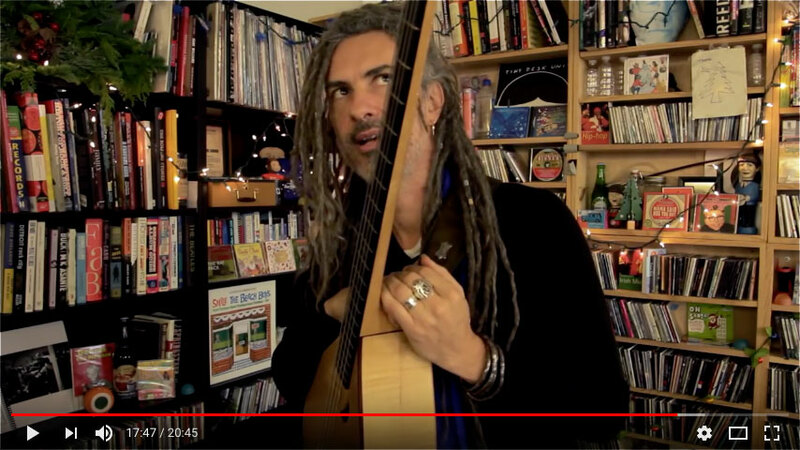 After he received the new and first ever made 8 stringed SazBass model from its maker JC started working on new material for a new trio with two of the Jaleo members, percussionist Nantha Kumar and flamenco guitarist Jean-Baptiste Marino, playing mostly in Spain and France. 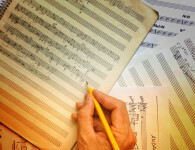 Its is then also in 2002, that JC also started working on a project of new songs with the SazBass, the “Saz Songs” project, giving birth over the years to a whole body of work to this date still waiting ti be released. Note: the chorus of the song “Tired Of Myself” from the Grand Baton album “Carnal Carnival” was originally a riff written by JC for the Saz while running it through a fuzz pedal (evidently in the key of G, its lowest bass note). Let’s specify here that it being equipped with a very sensitive piezo pickup, the Saz is very hard to control with distortion as it tends to quickly feedback. 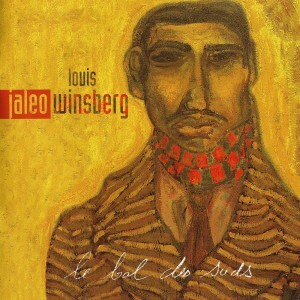 The SazBass became a centerpiece in the music of the next Jaleo record, “Le Bal Des Suds”, released in 2005. It opens with the first mouvement of a 10’42″ piece, also named “Le Bal Des Suds” a complex and detailed fast bulería played in unison by the SazBass and the guitar. The Saz here also provides the bass and harmony foundation of other songs like “Kakito Fandango” or “Isabelita”. 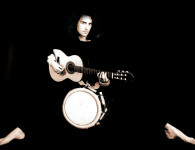 The album was also supposed to feature a duet of the 8 stringed and 6 stringed Sazs together, called “Saz y Saz”. 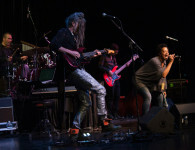 The song was unfortunately accidentally erased from the computer’s hard disk during the mixing process of the album and could only be heard during the live performances of the band. if I wouldn´t have fallen in love with this man already I would come running to meet him finally again. I adore his divine talents in every way. The most precious and rare gem on earth. sparkling and full of Magic. there is no way back. I am lost in this love and this shelters my heart with heavenly healing Music. Baby, check this page. there is twice the same picture of you playing with sofia, tiny desk. I have a few questions can you answer them? 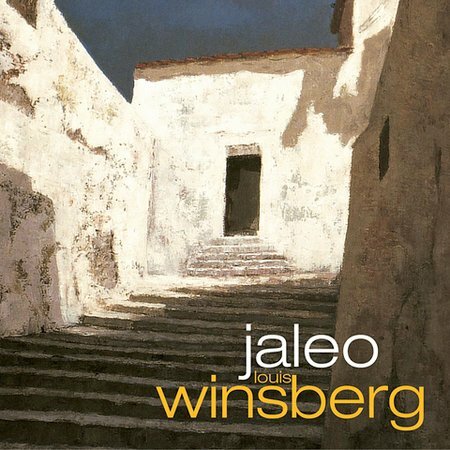 Hi JC, again this is wonderful…and of course beautiful…love how you’ve worked into your arrangements not just this but various instrumentation…and connects the world. Hope you will be able to release sometime soon…would love to hear it!!! It was so nice to chat and see you in Tucson AZ. Very cool !! Thank you ! I had the opportunity to witness the Sazbass in action tonight. Just fabulous. The arrangements of music and the free flow of the sounds were perfect. BTW I loved the Message in the bottle rendition. !! Thank you Jason. A pleasure to have you in the house. We respect your privacy. We won't overwhelm you with emails, we're actually pretty bad at advertising:), but we appreciate very much being connected with you!